Kohler K241 301 321 Head. Condition is Used. Shipped with USPS Priority Mail. Good deep sump aluminum oil pan for Kohler k series engines. It was removed from a 14 hp engine in a John Deere 314. 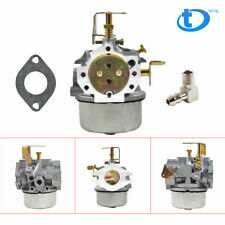 Fits k241, k301, k321, and k341 engines. This pan is in good condition. Gasket surface is flat and all the bolt holes are good. 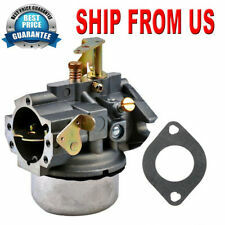 Carburetor For Kohler K241 K301 10HP 12HP Cast Iron Engines #26 Carb 47 853 23-S. Fits models: For Kohler #26, K241, K301. Replaces Part #: 47 853 23-S High class quality and very durable,Good working contion and easy to install. Kohler K241 (10HP) Engine Charging STATOR-TESTED. Condition is Used. Shipped with USPS Priority Mail. Engine - Kohler K301 - 12HP. Complete tractor is not available for sale. Serial # - 000760 A. Local pickup is available. K241, K301, K321. Kohler OEM Breaker Points. Replaces These Kohler Parts Condenser(Capacitor). Premium Engine Service Tune Up Kit. One Tune Up Kit Shown Below ". This is for the 7" by 2-1/2" Air Filter. This is for the K241, K241S, K241AS, K241AQS or any other K241 with any suffix. John Deere,Cub, Case, Sears or ANY TRACTOR with the 10hp Kohler. Anybody can rebuild their Kohler engine in a few hours when you have all the parts. Used Kohler K241/K301/K321/K341 Engine Points Cover With Screws QTY.1, Removed in working order, Cleaned, Good Shape, Ready To Install. Check out all My pictures. -You Will Receive 1 Points Cover With 2 Mounting Screws, Color MAY VARY, Points Cover In Good shape, No Dents Or Broken Mount Holes-. 10 horse power K241 kohler with std piston, rings and gaskets with seals as shown in the picture The suffix does not matter. They have gone on mowers and pulling tractors all over the world! Wrist pin and Keepers. Replaces Kohler number 47 755 08. Includes free S/H. From a John Deere model 210 serial #285287, with 10hp Kohler K241 engine. Should fit similar Kohler engines on 210 212 214 216 314 models, may fit others. Engine spec # 46785, model # K241AQS, eng serial #13155832. Many Kohler K-Series with Battery ignition ions Part numbers. Many Kohler K-Series with Battery ignition. Part numbers. Up for sale is a cylinder head removed from a Kohler K301 (12hp) in a model 1250 Cub Cadet. Will fit K241 (10hp) K301 (12hp) and magnum engines M10 m12 as well and the small exhaust valve K321. These are the correct valves for the 10 hp K241, M10 and 12 hp K301, M12. This is an Cast Aluminum deep sump oil pan from a Cub Cadet 169 garden tractor. 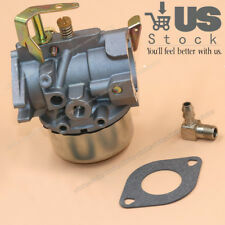 Fits Kohler K241 K301 K321 K341 engines. 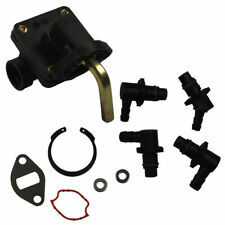 For sale is a NEW Ignition tune up kit for the Kohler K series engines. This kit will fit the Kohler K181 K241 K301 K321 K341 engines. Kohler cylinder head and new OEM Kohler cylinder head gasket. Head has been bead blasted and mating surface machined perfectly flat. Spark plug threads are perfect as are both engine tin mounting threads. This is a Kohler K301 K321 K341 Engines Points & Condenser Set. Fits Cub Cadet John Deere with listed engine models. Part Nos. 230722 4715003 (17D). Part listed replaces part numbers and fits machines listed, however there can be other part numbers depending on when the machine was built. This cylinder head was manufactured by Kohler from the early 1960s until 1971 and was available only on engine model K241 (10hp) before engine serial number 3184999. It has a heart-shaped and wedge-contoured combustion chamber and is now known as the high compression, "LP head.". The points & condenser will work on all 10 12 14 & 16hp Kohler motors. Kohler: 10, 12 and 14 HP models K241, K301 & K321 engines. Part numbers. Check out all My pictures. Bin # Top Tan Bins. Last Photo Shows Engine (Model,Spec,Serial #) Parts Removed From. Used Kohler K241 (10HP) Engine Oil Pan, Removed From Parts Engine, Cleaned,Good Shape. Check out all My pictures. 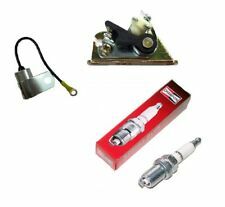 Points and condenser for Kohler 8hp K181, 10hp K241, 12hp K301, 14hp K321 and 16hp K341. Points with bracket and condenser. Here we have the crankshaft from a Ariens S10G Kohler K241 10hp single cylinder engine. Removed from a 10HP Kohler horizontal engine. A good used flywheel grass screen. parts may need cleaned. Used Kohler K241 (10HP Cast Iron) Engine Charging Stator, Removed in Working Order, Cleaned, Check out all My pictures. LOCAL PICKUP AT OUR LOCATION (Ashland,Ohio) Permitted. Changing Your Mind. Ordering By Mistake. Kohler: 47 393 19-S, 47 559 01-S, 47 559 03, 47 559 04-S, 47 559 05-S, 47 559 11-S, A-236205-S. Fits Models: Kohler: K241-K341 and M10-M12. Twist lock fit. Angle to arm. 1 5/8" arm length. Fits 1/4" ID fuel line. Used Kohler K241 (10HP) Engine Electric Starter, Removed From Parts Engine, Cleaned, Good Shape. Check out all My pictures. Kohler #26, K241 & K301, 10HP & 12HP Cast Iron Engines. There may be different carburetors used on these models depending on the spec, serial or build date of the engine. PLS DO NOTE WE ARE NOT RESPONSIBLE IF PROBLEM EXCEED OF WARRANTY. Used Kohler K241AS (10HP) Cast Iron Engine, Engine Oil Pan (Cast Iron), Removed in working order, Good Shape, From a Cub Cadet Garden Tractor. Check out all My pictures. Last Photo Shows Engine (Model,Spec,Serial #) Parts Removed From. 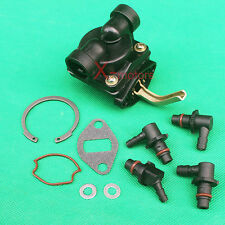 NEW OEM KOHLER CARBURETOR OVERHAUL KIT. 90 / 91 / 141 / 160 / 161 / 181 / 191 / 241 / 301 / 321 / 330 / 331 / 341. QUALITY KOHLER PARTS. You are responsible for verifying the OEM part number. Did you check your OEM part number?. Nice used K241 cylinder head. plug threads are good. side bolt holes are good. use's the short head bolts. Fits models: For Kohler #26, K241, K301. 1 x Carburetor. Fits 10 HP 12 HP Cast Iron Engines. High class quality and very durable, Good working contion and easy to install. Main Color: Silver & Grey. Check out all My pictures. Bin # 1043. Last Photo Shows Engine (Model,Spec,Serial #) Parts Removed From. Used Kohler K241AS (10HP) Cast Iron Engine, Engine Plastic Fuel Pump, Removed in working order, Good Shape, From a John Deere 112 Garden Tractor. Check out all My pictures. Bin # 1004. Last Photo Shows Engine (Model,Spec,Serial #) Parts Removed From. Fits K241 10hp K301 12hp #26. Your #1 Source for Mower Parts and More. Professional grade parts at wholesale pricing. Bluetooth headset. Chain Tighteners. Snowblower Parts. Tire Chains. Country Clipper Parts. Removed from a 10HP Kohler horizontal engine. A good used flywheel with good ring gear and tight magnets. parts may need cleaned.